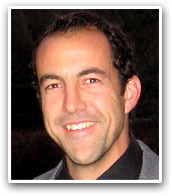 Dr. Donaldson began his educational career at the University of Oregon where he obtained a B.S. in Sports Medicine and Biology and played collegiate volleyball. He then worked in the Physical Therapy and Fitness Training field for several years before entering medical school at the National College of Naturopathic Medicine where he received his doctorate (ND). Naturopathic doctors (NDs) go through a very similar rigorous educational & clinical training to allopathic doctors (MDs). However, NDs employ a more holistic philosophy on health and disease and utilize more natural therapeutic methods that stimulate the body's natural ability to heal producing tremendous, lasting results. Dr. Donaldson incorporates this approach with each patient by addressing the whole person and ALL aspects of their health and the pain continuum. He practices general family medicine, but specializes in chronic pain with specific interests in sports injuries, back pain, sciatica, headaches, arthritis, fibromyalgia, as well as the sleep and emotional disorders associated with chronic pain. His ultimate goal is to find the underlying cause of pain and dysfunction of these and other conditions, and then develop personalized treatment strategies accordingly. Attention is centered on reversing and preventing further dysfunction through patient education, posture alignment, and the implementation of various therapeutic modalities and appropriate dietary and lifestyle modifications that guide his patients towards optimal and lasting wellness. In addition, Dr. Donaldson has a passion for education and has been an Adjunct Professor at Cabrillo College and the Five Branches Institute since 2006. He also gives community lectures on various health topics and offers Corporate Wellness Programs throughout the Santa Cruz and Bay Areas. "Dr. Josh helped me physically and mentally heal! I had a really bad articular cartilage tear in my right shoulder that made it painful to do everyday things like getting dressed (let alone do the things I loved to do like swim or surf.) After surgery I had limited range of motion with considerable pain-the orthopedic surgeon who did the surgery recommended partial joint replacement. Luckily I was referred to Dr. Josh before I went through with it! Dr. Josh took the time to diagnose my injury and come up with a great treatment plan. Through prolotherapy, strength training, stretching and visualization techniques I am back swimming and surfing again-pain free!! Thanks Dr. Josh!" "I saw Dr Josh for knee issues and Achilles tendinitis. He administered Prolotherapy and I walked out of his office feeling so much better. His attention and concern is really calming and impressive, and asks so many questions involving every aspect of your health and well being then pieces them together for a plan of cure. He really is top drawer."